To celebrate its 30th anniversary, The Canadian Encyclopedia created 30 lists of 30 things that have helped define our identity, from famous people and historic events, to iconic foods and influential artists. 48th Highlanders of Canada. Toronto militia regiment formed in 1891, and with a distinguished record of active service in both world wars. WHAT'S WORTH DYING FOR? A half-century after Korea, 60 years past the heroism and tragedy of D-Day, and with our last living links to the "War to End All Wars" soon to be severed, it's a question fewer and fewer of us have had to answer. 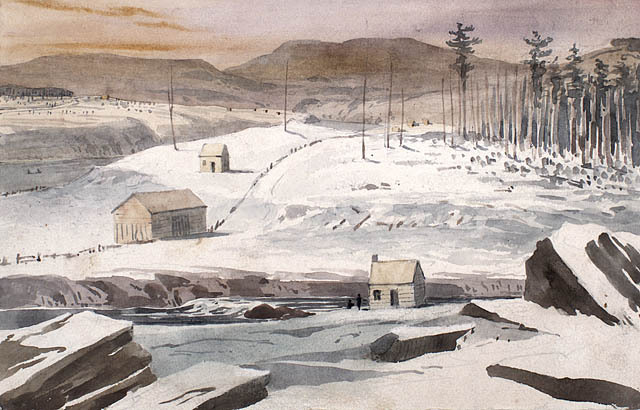 Acadia was from its beginnings a centre of conflict and competing ambitions. Admiralty (short for Board of Admiralty), a British government department which, between its inception in the early 18th century and its amalgamation into the Ministry of Defence in 1964, was responsible for the conduct of naval affairs. Aid to (or of) the Civil Power, the calling out of military troops by the civil authorities to help maintain or restore public order. Alabama, Confederate warship constructed in Britain during the American Civil War. The US sought to have the ship detained in Britain, but it escaped. Until it was sunk in June 1864, it attacked Union (Northern) shipping, inflicting great losses. Lord Cardigan took up his position at the front of the Light Brigade. He sat tall in the saddle, his eyes flashing sapphire blue, his bearing proud. This would be his day for, although all who met him found him unusually stupid, no-one doubted his dauntless courage. The American Civil War (1861–65) was fought between the northern (Union) states and the southern (Confederate) states, which withdrew from the United States in 1860–61. The war left cities in ruins, shattered families and took the lives of an estimated 750,000 Americans. The war also involved those living in what is now Canada, including roughly 40,000 who joined the fight. The war played a significant role in how and when Canada became an independent country. 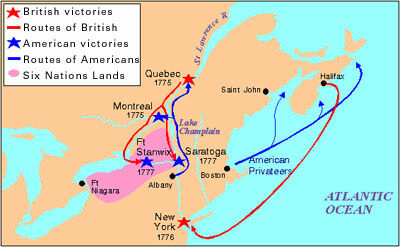 In 1775 at the start of the American Revolution, rebel forces invaded Canada, occupying Montréal and attacking the town of Québec. 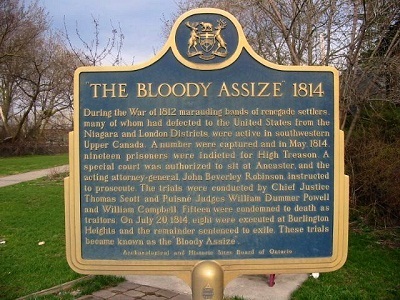 The Bloody Assize of Ancaster was a series of trials conducted during the War of 1812. 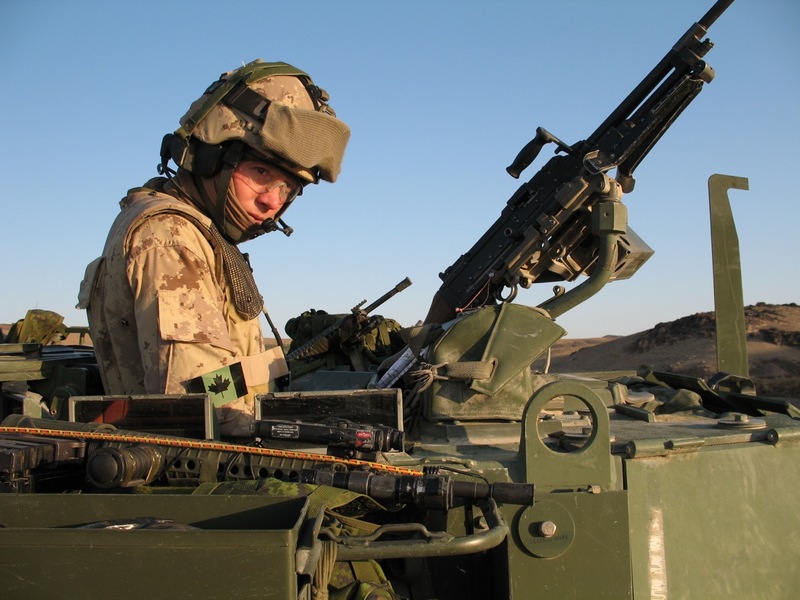 The Canadian Armed Forces are the land, naval and air forces that defend Canada's security and promote its strategic interests at home or abroad. The British land forces that defended British North America during the War of 1812 were drawn from a number of organizations. The British "army" of the time consisted of the infantry, cavalry, the Royal Waggon Train and the Royal Sappers and Miners. Army, see Armed Forces: Militia and Army. The Aroostook War was a confrontation between British and Maine authorities in disputed territory known as Madawaska. During the Napoleonic Wars, Britain was in dire need of wood and the region’s pine forests became an important commodity. 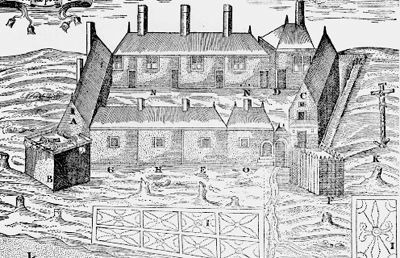 Claimed by both Maine and New Brunswick, Madawaska became fertile ground for confrontations between the two. The war peaked in 1838‒39 when the governor of Maine, John Fairfield, sent a group, led by Rufus McIntyre, to stop “provincials” from entering territory that Fairfield believed was Maine’s. McIntyre was captured and accused of invading the colony. The conflict ended in 1842 with the Webster-Ashburton Treaty, which divided the territory along the Saint John River. The War of 1812 as it was fought on the high seas included a variety of activities related to sea power, including clashes between ships, naval blockades, coastal raids, joint operations with the army and a commerce war involving privateers and letters of marque. 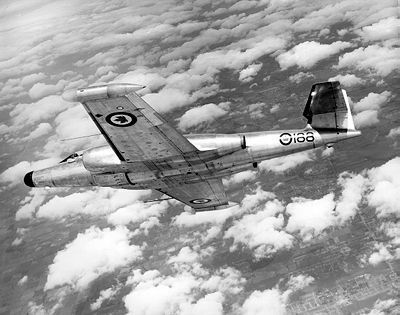 The CF-100 Canuck, manufactured by A.V. Roe Canada (Avro), was the first jet fighter designed and built entirely in Canada. It flew in front-line air defence from 1953 until the early 1960s. By November 1813, the Americans were in control of the Detroit River frontier while the British had established small outposts at Port Talbot and the village of Delaware. 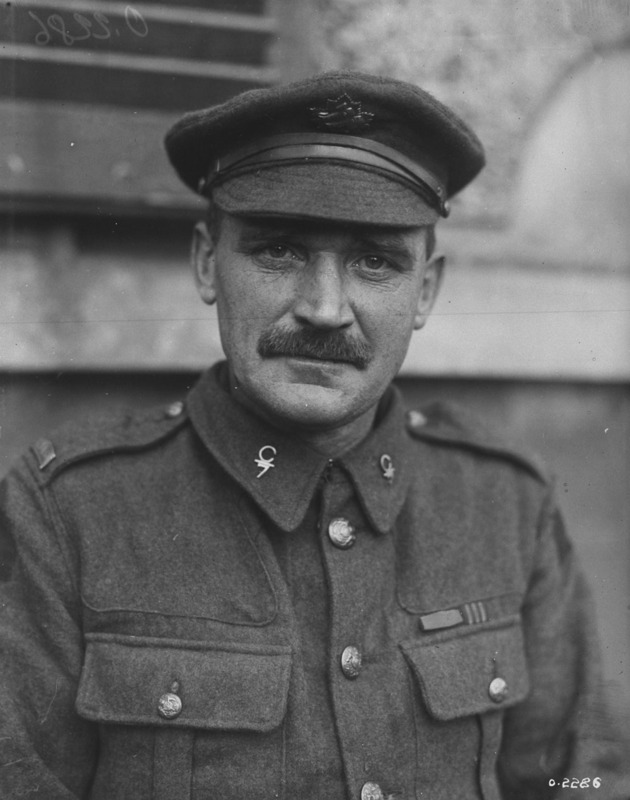 The capture of Hill 70 in France was an important Canadian victory during the First World War, and the first major action fought by the Canadian Corps under a Canadian commander. The battle, in August 1917, gave the Allied forces a crucial strategic position overlooking the occupied city of Lens.